Please use the link below to read our report. Maths: Increase the attainment of the higher attaining pupils in Year 6 by developing their pace in arithmetic, and their problem solving strategies, in order that they achieve the higher standard; ensure that all the middle attaining Year 6 group make progress enabling the Maths progress score to increase, with the lower confidence level rising above zero; continue to develop problem solving strategies and pace throughout school; work towards the low attaining Year 2s achieving the expected standard and the higher attaining pupils achieving greater depth. Writing: Challenge the high attaining Year 6 pupils to achieve greater depth in writing and the middle attaining group to achieve expected; target the Year 4 and 5 pupils to achieve higher standards in writing – more to achieve the expected level, by ensuring that they apply spelling and punctuation and grammar techniques to all writing and continue to work on spelling; continue to improve spelling in Year 3 and Year 2. Increase the number of children achieving expected at Year 2 and ensure coverage for greater depth. Each cohort made between 75%+ and 92%+ Expected+ progress in spelling. 100% of Year 6 had a spelling age above chronological age but didn’t always apply it consistently to their written work, therefore 3 children could not achieve expected. Reading: Develop the motivation and reading skills of the low attaining readers in Years 2, 4 and 5; work towards the low attaining Year 6 pupils gaining expected and the high attaining pupils gaining greater depth. Increase the percentage of boys achieving a Good level of Development in the Early Years; work towards closing the gap of the disadvantaged pupils in Foundation Stage and in Year 1. 78% of boys achieved a Good Level of Development compared with 64% nationally. 100% of Year 1 pupils met the expected standard in phonics. Continue to develop the moderation of Writing and Maths through school; look at greater depth in these subjects in line with the new government attainment measures and challenge some pupils to achieve these. Staff are more confident at moderating Writing and Maths throughout school and identify clear next steps. Staff are teaching at the expected level and challenging some pupils to achieve greater depth. Develop the skills of teaching specific areas of computing and ensure it is embedded in Key Stage 1. CPD has increased staff’s knowledge of computing and it has become embedded in Key Stage 1. 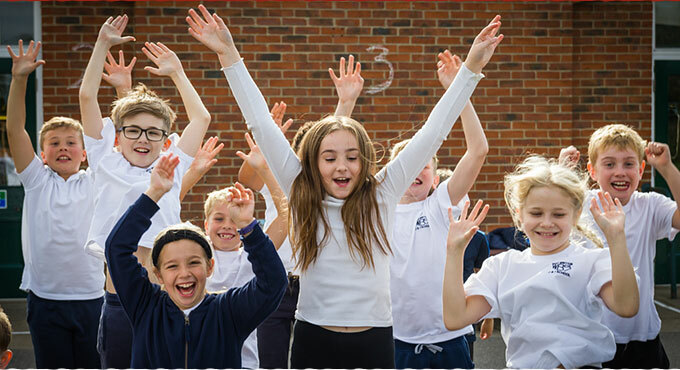 Continue to develop the teaching of PE throughout school by combining the Create Development scheme with knowledge from FA Coaching; continue to promote physical well-being and healthy lifestyles among pupils following the government childhood obesity plan guidance. 78% of children have attended an after-school or lunchtime sports club and 69% of children have attended a sports competition. Develop teamwork, resilience, problem solving and motivation to learn, through the use of Commando Joe. Commando Joe was effectively embedded into school and greatly developed teamwork and motivation. Continue to develop Co-ordinator roles by ensuring they are familiar with the new attainment expectations and progress measures of the curriculum. Clear data tracking and results of moderation have given Co-ordinators a greater insight into the progress of each year group for their subject through school. They have a greater understanding of the new curriculum and end of year expectations. All have action plans in place and review these frequently. Please note, the Department for Education does not publish figures if there are fewer than ten children in a year group.